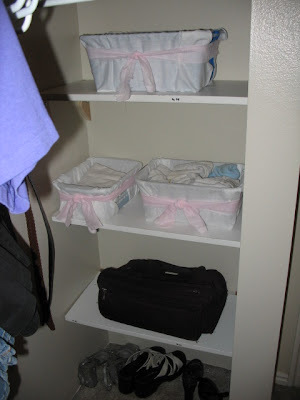 Rambling Mom: 30 Day Organizational Challenge Complete! 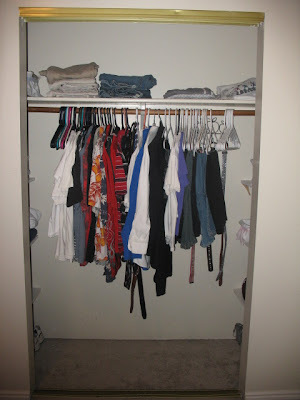 Great job with your closet and even your sons' closet!!! I love shelves. 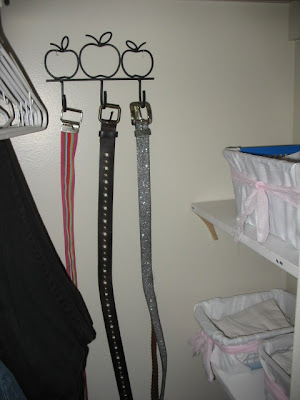 They help you use vertical space more efficiently! 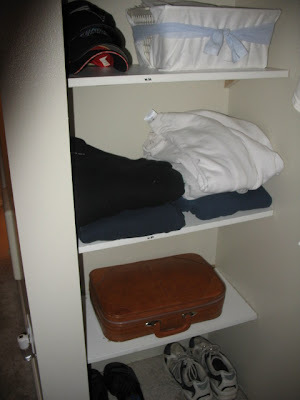 In addition, good idea about using the blue closet organizers in your sons' closet. 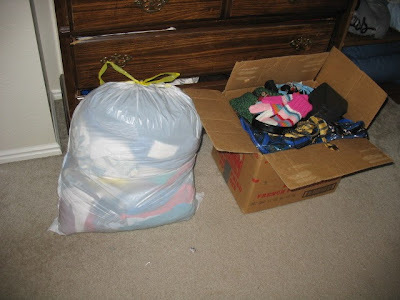 It'll make it easier for them to find their clothes as well as to help you put away their clothes. Awesome!!! Wow. You sure did a lot! Love the shelves and I'm impressed you are so handy. And cute baskets. I love seeing how others make thrift/ free things so nice. Looks great!